Welcome to the new rnz.co.nz. We're hoping you're going to love what we have done with the place but we understand that renovating can sometimes cause a few headaches. Changing a website with hundreds of thousands of pieces of story-telling is a complex business, but we have tried to take into account the feedback from more than 3000 of you, our great audience, to address your biggest frustrations. Below you will find a cheat-sheet on how to make your way around the site. Bookmark this page and share it with your friends. It also details what to do if you come across some funkiness you think we need to tackle. We really want you to have a good look around - tell us what works and doesn't. In the coming days and weeks we will be continuing to release more changes and polish the site based on the feedback we receive. What we won't be doing is changing the type of great stories we tell. Go to the 'listen live' button at the top of any page. (Look for the speaker icon.) Click on it, and choose your favourite station. Hit play to start playing - the player will open in a new window. Q. How do I find my favourite show? All stations and programmes can be found under 'radio' at the top of the page (which is under 'menu' on mobile). From there, you can find your favourite programme. You can also browse all presenters and all latest audio. You can see what's on, what's coming up, and what's just finished. By choosing a station under 'radio', you can find all of that station's programmes and its presenters, audio items and schedules - as well as see what's on, what's coming up, and what's just finished on that station. From RNZ.co.nz/programmes you can find all programmes listed alphabetically, by presenter, or choose 'popular.' You can also search for your favourite programme, by using the search button at the top of the page (look for the magnifying glass). Q. How do I find my favourite presenter? All presenters can be found under 'radio' at the top of the page (which is under 'menu' on mobile). From there, you can find your favourite presenter. You can also browse stations and programmes and latest audio. You can see what's on, what's coming up, and what's just finished. By choosing a station under 'radio', you can find all of that station's presenters, and its programmes, audio items and schedules - as well as see what's on, what's coming up, and what's just finished on that station. Q. How do I find out what's on right now? So many ways! Hit 'radio' for an instant look at what's on on all of our stations. (It's under 'menu' on mobile). Or, scroll to the bottom of the home page. By going to RNZ.co.nz/national, RNZ.co.nz/Concert and RNZ.co.nz/international you can quickly see what's on any of our stations, and by clicking on 'schedules' you can see what's on when. Q. How do I tune my radio? Go to the bottom of any page, where you can find helpful information on how to listen to and watch everything we do. Q. Can I find a podcast of my favourite show? Yes. Go to the bottom of any page, and click 'subscribe to podcasts'. Or, follow the links on the 'series and podcast page' (found at the top of the screen or under 'menu' on mobile). On any show's page, you can find details about how to subscribe. Q. Where have collections gone? 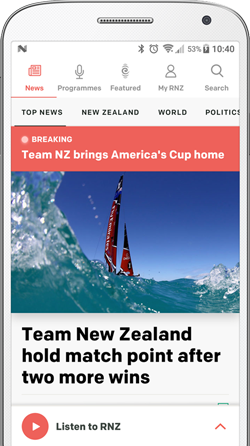 You can find collections on our 'topics' page (which is under 'menu' on mobile) or by going to RNZ.co.nz/collections. Some radio programmes have their own collections, found at the top of their programme page via the link 'collections', or at the bottom of their programme page along with all their information. Q. Why is this link broken? Thanks for noticing! Please email webmaster@radionz.co.nz and we will get that fixed. Q. How do I follow you on [my favourite social media]? At the bottom of every page is a link to RNZ's Twitter, Facebook, Instagram and YouTube. Each show's social media can be found at the top of their page. You can also share any of our stories by clicking on the icons under the headline. Q. Where has my favourite series gone? You can find it under 'series and podcasts' (which is under 'menu' on mobile). Or, try the search button. Some radio programmes have their own series, found at the top of their programme page via the link 'collections', or at the bottom of their programme page along with all their information. Q. How can I find all your audio? Both 'latest' and 'popular' audio lists can be found at the bottom of every page. So can latest video. The 'Radio' page (which is under 'menu' on mobile) also has the latest audio, as does each station's own page. Q. I want to listen to an item that played on on a specific show. Go to the programme's page, eg. RNZ.co.nz/jesse and you should be able to find it there. You can also search the latest audio on the Radio page (which is under 'menu' on mobile). Once you find the thing you're after, you can play any item, add it to your playlist, or download it (as long as we have the rights). Q. How do I add something to my playlist? On any item, click 'add to playlist'. You can also add an entire episode of a show - eg Nine to Noon - by hitting 'add all to playlist'. When you hit 'play' in the playlist, the player will open in an new window. Q. Help! I can't stop this interview playing from the playlist. The player opens in another window - you will need to stop it there. Q. How do I subscribe to a podcast? By clicking on 'subscribe to podcasts' at the bottom of any page and finding the one you want. On any show's page, you can find details about how to subscribe. 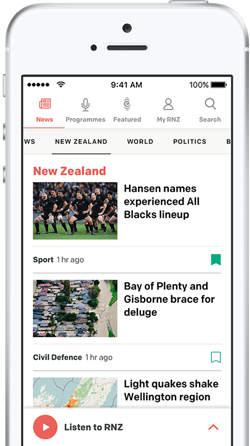 You can also browse all our series and podcasts at RNZ.co.nz/series (which is under 'menu' on mobile). Q. How do I sign up to a newsletter? At the bottom of any page, click on 'sign up to newsletters'. You can also find the newsletters for any programme on their page. Q. Why does this look funny in my browser? We have extensively tested how the site looks in different internet browsers ie Explorer, Chrome and Firefox and on a multitude of screen sizes. If the site's not working in your browser, please email webmaster@radionz.co.nz. It helps us if you include a screenshot showing the problem and let us know what browser and version you are using, as well as what device. If you are using Explorer Version 8 or older you will likely have some funkiness going on. Microsoft no longer supports Explorer Version 8 or its predecessors. We recommend you download a more up-to-date version of the browser. Q. I have a different query. How can I contact RNZ?